ITS 3:48 am here in Vancouver, one of the most beautiful cities in the world, it is said, when it is not raining. And it is indeed drizzling outside; the sky illuminated a brilliant blue by the light of the full moon. There is not a soul outside as I stare out my window- just the soft sound of the gentle wind blowing across, and the hissing of the raccoons. I should really be doing my Political Science readings now. With an essay due in two days and still more than 50 pages of reading to go through before I can even start writing my paper, it is only right that I stop being seduced by the soft patter of the raindrops scratching against my glass window and get on with my work. And yet, there is this desire to be 13000 miles away from here right now. I would like to keep the weather the same, but I would change the surroundings, to a place which the sights are far more familiar, dancing to the rhythm of my eyes, where the sounds are much more in sync with my ears, and where my mind and my heart come together as one. I wish I was back home. Yes, the traffic jams are terrible and the power outages are an art form, but right at this point of time, there is nowhere else I would rather be. I am not usually the homesick kind. In fact, when I came here, I was pretty certain that, come what may of the feelings of homesickness among the others I know studying abroad, it would not be something I would suffer from. Oh, how wrong I was. I miss it all- the food, the sense of security of having your loved ones around, and even the traffic jams! No traffic jams for such a sustained period of time, after all, are new to my eyes. But, in all honesty, maybe the load of my courses and the consistently gloomy weather are adding to my feelings of wanting to be back to where I belong, but these things are beyond my control. I have learned a lot about life and myself in the time since I have been here. As they say- 'You learn much more by doing it yourself than when you are taught', and the maxim certainly rings true with me. But how dearly I would love to be back home right now, without having to worry about anything, where my only concern would be my next attempt at mischief than keeping track of paying my credit card bill so that I don't have to pay the overdue fees, or the phone bill. I am waxing sentimental here, but I make no apologies. I am speaking from the heart, and to me that is all that matters. But now, as reality flashes by me, I realize I still have all that reading to do, and that essay to write, and work to do, and courses to pass, and my present life to live, however different it may be from the life I would like to have right now. AS the mercury rises and the power-cuts increase, one cannot help but feel this sense of impending doom, be it about the summer that's yet to come, or impending exams, or just a breaking point where people have had their fill of traffic jams, price hikes, what have you, and explode all over the place. Reading the penultimate book in Rick Riordan's 'Percy Jackson and the Olympians' series, one feels that storm gathering sensation threaded through the adventures of the daring demi-gods. A quick skinny for the uninitiated: Percy Jackson is a dyslexic, ADHD-suffering teen-aged New Yorker who makes the startling discovery that he is actually the son of the Olympian sea-god Poseidon. This discovery is followed by a hasty retreat to Half-blood Camp, which is a haven for other demigods like himself. Over the first two books, he becomes fast friends with a satyr named Grover, and Annabeth, the goddess Athena's daughter, and he even discovers that he has a Cyclops for a half-brother. The quest for this book involves rescuing Annabeth and the hunting goddess Artemis, who have both been kidnapped. There is also the matter of slaying a monster that is prophesised to be the end of Olympians if sacrificed by their enemies. The quest takes Percy into famed artificer Daedalus' labyrinth in the search for his lost friend, and this place is full of plenty of beasties from minor Greek myths and makes for one eventful read. As well as a quick refresher in Greek mythology, and lots of adrenaline-pumping fight scenes and the odd laugh, this book is a lot more psychological than its predecessors. You get an almost claustrophobic feel as Percy and his friends weave their way past walls and dead ends, and the way the maze shifts and changes to confuse them successfully conveys their disorientation. The preceding book ends with a shocker; for this book, there are plenty of twists that lead to an awesome cliff-hanger. 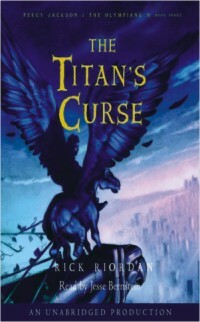 This series just keeps getting better, and Titan's Curse is well worth a read. Afist, miniscule, crinkled skin, veins razor-thin and deoxygenated blue, pokes out from the voluminous folds of a pink blanket. Teddy bears dance across the folds and a pair of trembling hands holds the parcel to a heaving chest. “Careful now,” a whispered warning to no one in particular, as footfalls fade down the hallway and neon-white lights dim behind half-closed lids. Every breath is suspended, quavering, in mid-air before it gusts over that translucent face. She turns her head into the fabric. Face scrunched, against the light or against me I cannot tell. She waves that defiant fist and clubs me softly on the nose. Delicate, so delicate, and I ease those tiny fingers free and touch my own finger to each half-moon of a nail. “How did you end up like this, hmm?” She doesn't reply. Quiet now, the light bleeding away from the day, the smell of disinfectant now burrowed so deeply into my own clothes I have long ceased to notice. Rubber-soled feet squeak past me. Somewhere down the hall a man bellows down his cell phone, “YES IT'S A BOY” while a sari-clad, iron gray-haired woman beams from a nearby plastic seat. I turn my back to them, pointedly, shutting them out of this moment in time. I want to preserve this, the darkening gold dust that streams through the window and the muffled call of the muezzin to the evening prayer. This moment, this is for no one else to share. “Excuse me,” a young lady mutters, balancing a metal tray against her hip. I step away from the doorway I had been so effectively blocking, and the reshuffling of my feet causes my bundle to squirm and resettle. The young woman looks down at my ward and the creases on her face fall into a smile. Faces are inspected, from one pair of blood-shot eyes to another pair barely visible under squinted lids, and the young woman nods in approval. “She has your nose,” and then she is off, the metal tray jostling the buckle on her belt. And my baby harrumphs in my face. Something melts inside me; defenses, walls, the accumulated cynicism of the decades. I sink into the nearest chair and cradle my daughter to my chest. 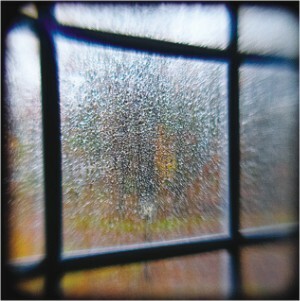 A hand hinges loose from the blanket and reaches out, touching with paper-soft knuckles the bridge of my nose. Tiny lips part in a luxurious yawn. “Bored of me already?” I ask her, and she opens those luminous black eyes and regards me suspiciously. “You're going to be hard to please,” I tell her. I tuck in the folds of her blanket. She scrunches up her face and sneezes explosively onto my shirt. “I might even have to send you to courtesy school.” An eyelid droops, and then the other, and she drowses off again. When she breathes her lips pucker. When she shifts her hands unclench. And every movement, every movement, chips away at another corner of my heart, snipsnip, until I am no longer my own person. I exhale and she breathes me in. Her fingers scrape against my skin and my pulse beats to a different tune. Where did I lose myself?